My very good friend, and fellow Aussie expert, Liz had a baby girl recently. She is the most gorgeous little thing! I was super excited to get some baby sewing happening, but wanted to ensure it was cute AND useful. 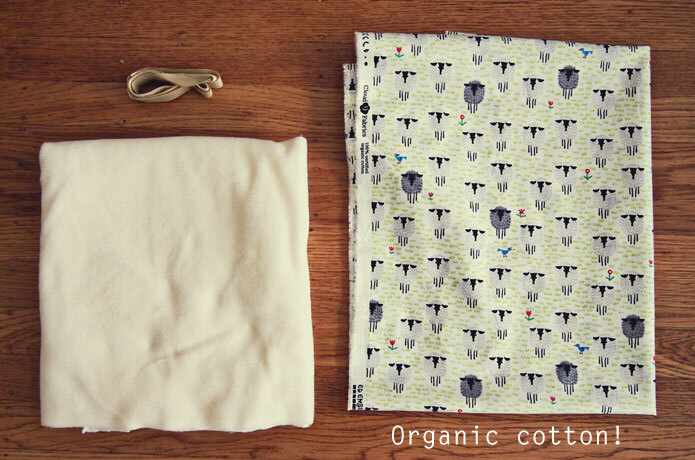 After scouring the web, I settled on making a baby swaddle wrap, using this free sewing pattern by Lotta Jansdotter. 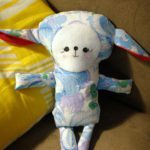 The sewing pattern is a free extract from her book, Simple Sewing for Baby: 24 Easy Projects for Newborns to Toddlers (published by Chronicle Books). For the exterior, I used an organic cotton called Happy Drawing Too Organic Sheep in white, from Fabric.com. At the time that I chose the fabric, I didn’t know if we were expecting a boy or girl. I think the little sheep were a safe choice! The interior lining is a creamy fleece fabric. You’ll also need velcro which matches your exterior fabric. 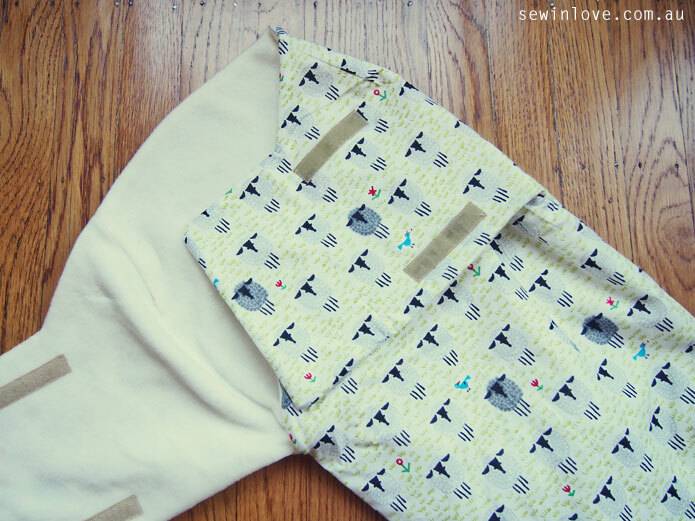 Download the free sewing pattern for the baby swaddle wrap by Lotta Jansdotter here. 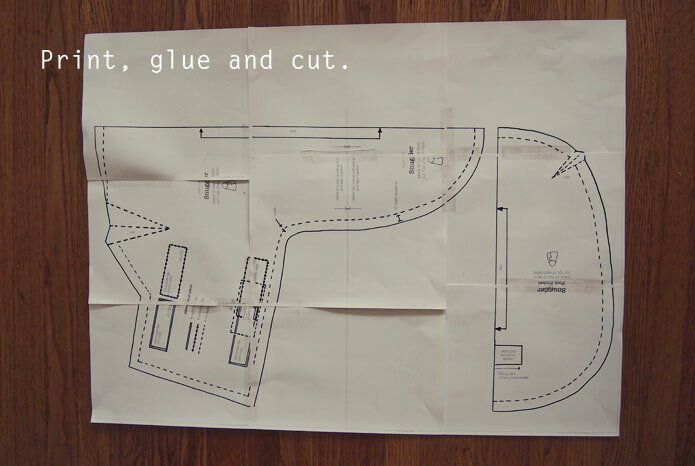 Once I printed the free sewing pattern, I cut off the top and left borders of each sheet. I stuck the nine sheets of paper together using sticky tape. 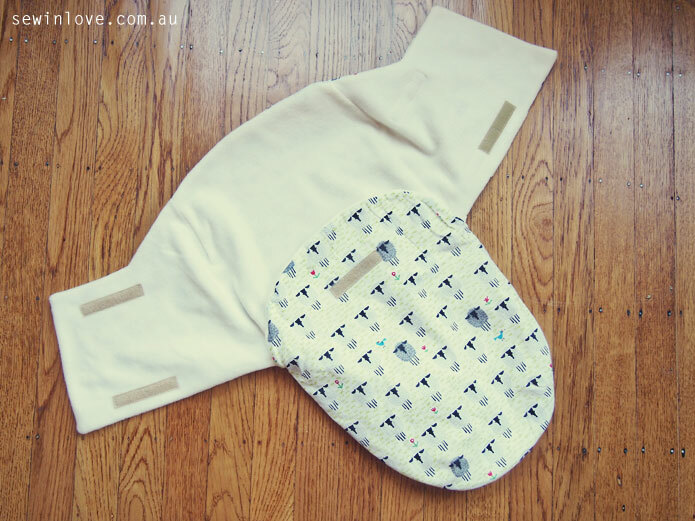 Make sure you double check the alignment of the pattern markings, or you’ll end up with an extra large swaddle wrap! I found the placement of the velcro to be a little confusing as well, but I got there in the end. I ended up swapping the right and left sides, but it’s symmetrical, so it doesn’t matter. I highly recommend using iron-on hem tape to keep the velcro strips in place while you sew. The correct placement of velcro strips is crucial! 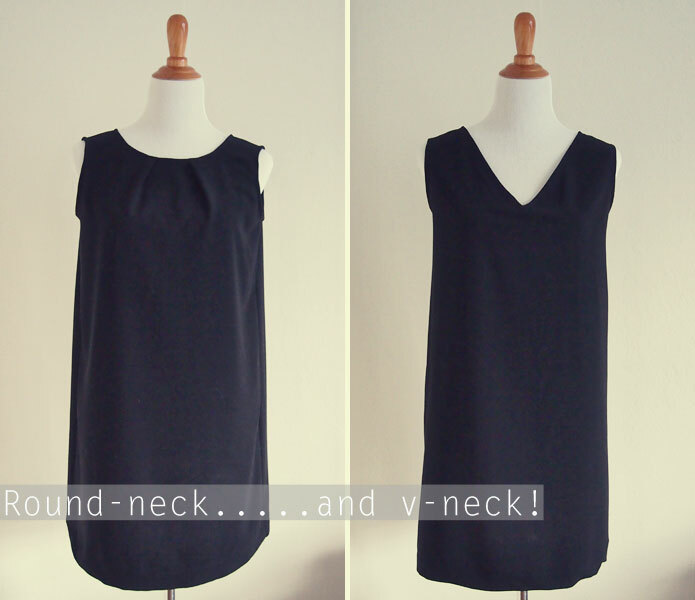 Overall, the pattern is nicely designed, and I really recommend it if you have a bit of sewing experience. The final swaddle wrap turned out very well, I think. By the time I finished making it, the baby was 3 months old (!) but she seems to be able to fit into it, thank goodness! I made a matching drawstring bag with remaining fabric, for Liz to keep little baby things organized in her nappy bag. The matching set made a such a cute little present! 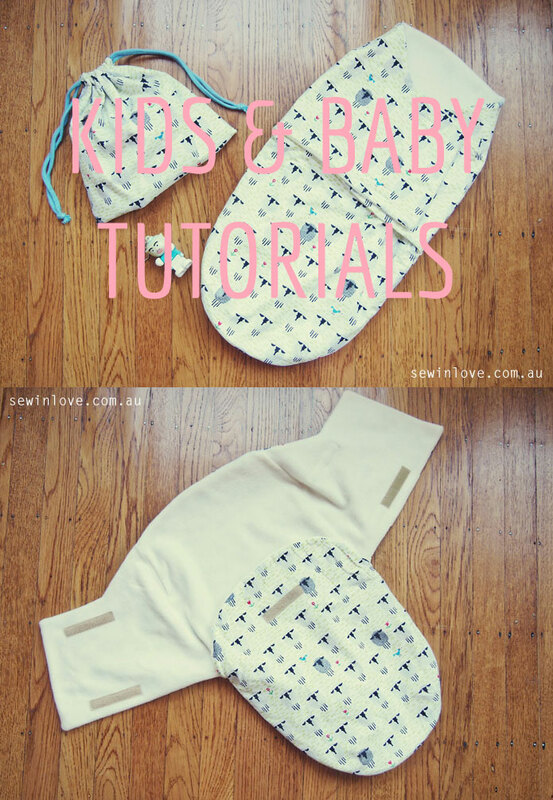 Do you have any sewing ideas for cute, useful baby gifts? I kinda find the pattern so confusing to assemble., good thing I saw ur photo when u had it assembled.. now im excited to make some of these for my babygirl coming on Dec30..
Glad you found my photos helpful Anne! I found the pattern confusing too, and ended up putting the velcro on the wrong sides, haha. Congratulations on the news of your baby girl, how exciting! Hello Rin 🙂 I too, like the others following this pattern have found it confusing and many things are missing from the pattern and instructions. I struggled thru it the first time (even though I’ve been sewing for 40+ years!) but while doing it took photos on the placement of the velcro so the next time I made it the process wouldn’t take so long. I used 100% cotton home dec fabric for the outside (which is thicker fabric and comes in lots of great patterns) and a matching, soft, 100% cotton flannel for the inside. MAKE SURE TO PRE-WASH ALL FABRIC! The end product is very cute. Great idea to take photos as you went! Oh and I never thought to use decorator fabric. Totally makes sense, because it’s so much thicker. The velcro lets you adjust the size pretty easily, so I think you could use this one from newborn to about 3-4 months. That’s so true Karla – so many things starting with “B”! I can think of binky straps for one more. I would love to make a nursing necklace – do you have any recommendations for a tutorial or pattern? Do u have a pattern for the bag? 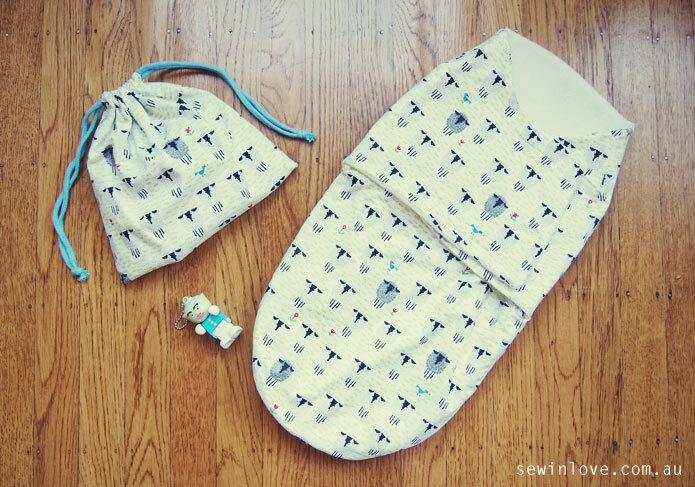 This is such a cute idea and I like that the swaddle blanket can stay nicely placed for travel trips..
No I don’t have a pattern for the little drawstring bag yet, but I was thinking of doing one. So glad you asked for it, I think it’s the nudge I needed. Now that I’ve been a mama for over a year, I can safely say that this swaddle wrap is a life saver! 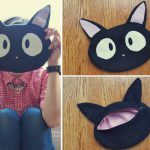 I would love to make this but when I click on the link for the free pattern I get a blank screen. Help!! I tried the link and it still seems to work for me. It takes a loooong time to load though, so just wait for a bit and it should come up on your screen. I was pretty confused by the velcro markings too. I ended up guessing the placement of them in the end. 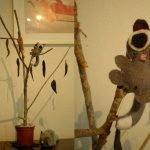 I suggest just having a look at the photos of my version and try to place the velcro at similar spots. I agree, the pattern is confusing. She says to transfer the velcro placement marks labelled ‘A’ and ‘B’ onto the fabic, but there is no ‘A’ and ‘B’ anywhere on the pattern. She must have forgotten to add them, lol. I’m in the process of making one for my brand new, first grandchild and she loves to be swaddled. Hopefully I get it right. Yours is adorable and I’m glad you have photos. Thanks. Congratulations! Your granddaughter will love it, it’s very comforting for babies. Your swaddle is sooo pretty 🙂 Can you tell me what size of paper you printed the pattern on? I’m from europe and the measurments would help, since we have totally different standards and I worry that my swaddle turns out all wrong and upside down 🙂 ! 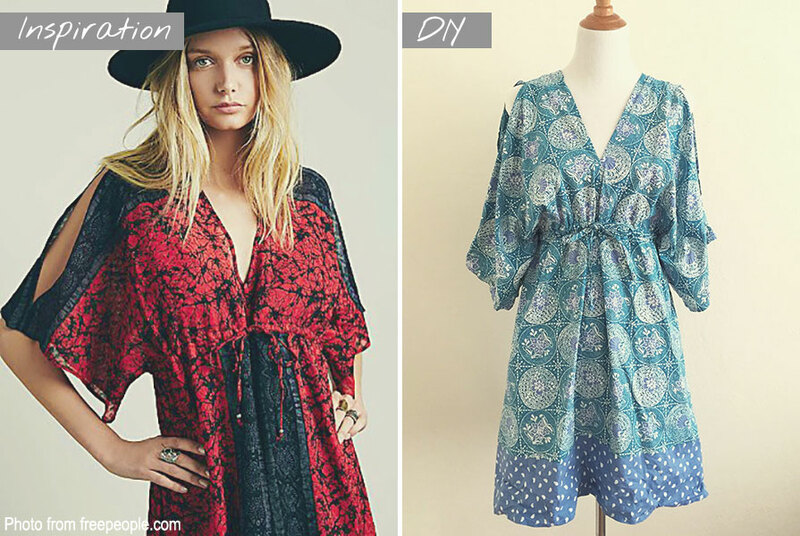 the pattern is confusing, I saw ur photo when u had it. Where you had it put together. Thank you helped a bunch. I made the swaddle and also found the instructions confussing, the velcro placement were hard to unstand. I finanly looked at the finnished picture that helped.The hardest part for me was sewind the front part to to the back piece at the flap, mine to did not look real neat , could not see that join on pattern or finnised picture that would have been really helpful for me.I tried for an hour at least took ot out more than once , I just said self get over it get it done. turned out cute but not thrilled my sewing toether job. 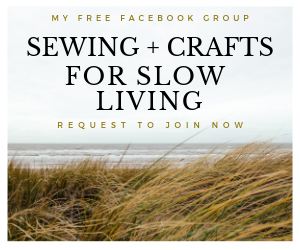 I am trying to piece my fabric together to sew. The foot part is larger than the body part. Do you have any ideas? Doreen, mine is too. Not sure if it should be that way or if pattern was taped together wrong. Can anybody help out there? Thanks! Once I printed the pattern in landscape, I was finally able to put it together. Am expecting a 4th great grandchild in August, and am anxious to make this swaddler. Thank you for sharing this pattern. Marrianne, Thank you very much for mentioning the fact that you have to print it landscaped. I don’t think I’ve seen that anywhere and it makes a world of difference. Thank you for your sharing swaddle wrap pattern. My son is a Washington Capitals fan – so I bought the team fabric and sewed it. It was such a hit at my daughter-in-law’s baby shower! Thanks once again for sharing.